If you are looking for free movie, video or tv shows, torrent is the best way to get them, it’s totally free without any viruses. This article will teach you how to download free torrent Movie, Video and TV Shows and burn them to DVD so that you can play them on your home DVD player. 1. How to download free Torrent Movie, Video or TV show? 2. 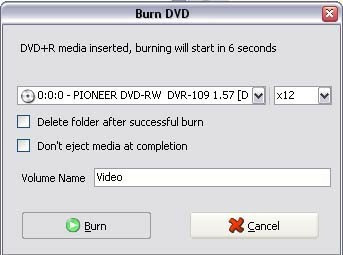 How to Burn the downloaded movies to DVD? Step1. Download and install the BitTorrent Client, BitTorrent client is a program that will enable you to connect to other users and thereby download the files you want to. Step2. Find a movie torrent. Now that you have a BitTorrent client installed, you’ll want to find torrents you like and download them. For that you have to visit a BitTorrent directory or use a BitTorrent search engine like Torrentz. For example, open http://www.torrentz.com in your browser and type the keyword to search for anything (twilight for instance). If you see something you like in the reture list, follow the link and download the .torrent file to your computer. Tips: Choose the more peers download link, the download speed would be faster. Step3. Once you downloaded the torrent file, double-click it and it will open and start downloading in your BitTorrent client. uTorrent will ask you to specify a location to save the file. That’s all. Then wait for the download process finish. Step1. Download and install convertxtodvd ( you can free download it directly from here, about 17MB ), and then run it. The software supports many different languages including English, Finnish, Dutch, French, German, Arabic, Italian, Japanese, Spanish etc. You can select your native lauguage by clicking “Settings -> Lauguage”. Step2. Load your downloaded torrent movie files into convertxtodvd by clicking “File -> Add video file”. You can add several video clips at one time, ConvertXtoDVD will join and burn the video clips into one movie file. Done! Just so easy to burn the downloaded torrent movie to DVD!